HemmaBio was launched early 1995, with the goal of delivering un-biased testing along with articles on improving the home cinema environment as well as film reviews and product news to the emerging group of home cinema enthusiasts, a goal that still holds true today. Mostly our testing can be placed into one of two categories: audio and video. In both cases listening or viewing is complemented with appropriate measurements to ensure that our testing meets the highest standards. 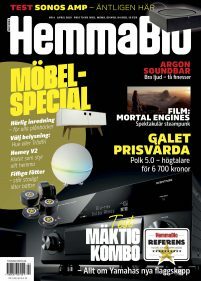 Today we are the leading home cinema magazine in scandinavia, always evolving in step with our readers.